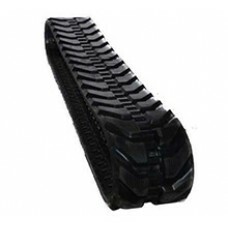 Doosan DX140LC-3 Rubber Track Descriptions:Features:Durable, long-lasting tracksDeep tread for impro..
Doosan DX140LC/180LC Rubber Track Descriptions:Industry-leading durability, reliability and performa..
Doosan DX140LCR-3 Rubber Track CHARACTERISTICS:- forged iron core;- cables with increated thickness;..
Doosan DX180LC-3 Rubber Track Descriptions:Industry-leading durability, reliability and performance:..
Doosan DX225LC-3 Rubber TrackThis staggered lug design provides good traction and added performance ..
Doosan DX225LCA Rubber TrackThis staggered lug design provides good traction and added performance i..
Doosan DX235LCR Rubber Trackcreates a highly versatile track with good balance and traction. 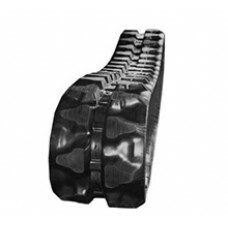 The des..
Doosan DX255LC-3 Rubber Track provides good traction with less vibration. Best use in areas where th..
Doosan DX272/302/352 Rubber Track Descriptions:Industry-leading durability, reliability and performa..
Doosan DX300LC-3 Rubber Track provides good traction and added performance in mud and dirt applicati..
Doosan DX300LCA Rubber Track provides good traction with less vibration. 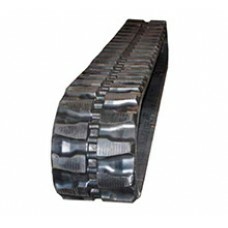 Best use in areas where the..
Doosan DX350LC-3 Rubber Track Features:Hihg quality/Brass coated cable Bundles;100% forged metal pie..
Doosan DX420LC-3 Rubber Track is designed with tough applications in mind. 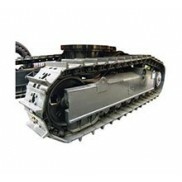 Each track is designed to..
Doosan DX490LC-3 Rubber Track Descriptions:Virtually unbreakableLasts twice as long as regular rubbe..
Doosan DX530LC-3 Rubber Track Features: - 3 Metal Cores Wound Up: Higher durability & Better flexibi..